That was the year of 2009. 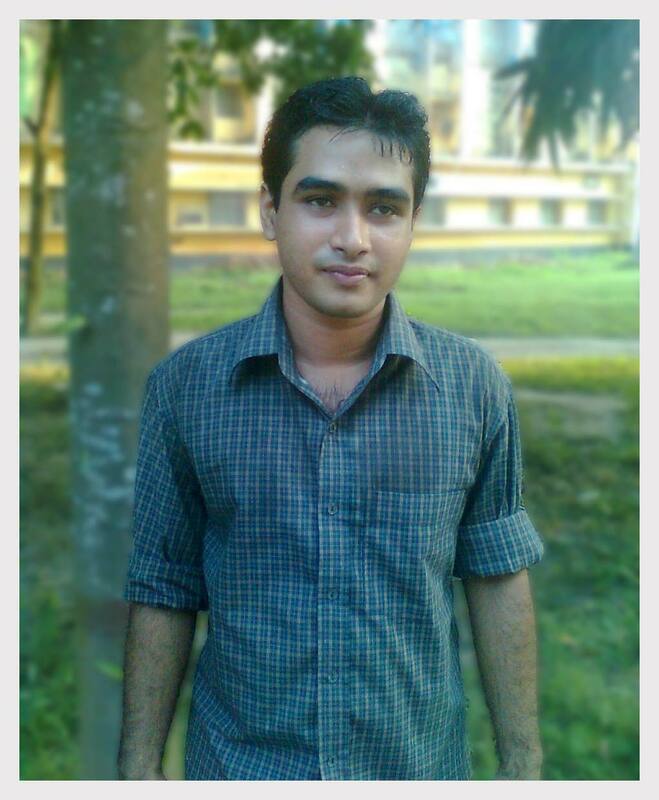 I admitted Rajshahi University of Engineering Technology(RUET). My subject was Mechanical Engineering. I tried and gave lots of effort to pass the first semester. My 1st semester GPA was only 2.83(out of 4) and passed all the subject. After this semester, I realized that I cannot continue this. I don’t like this or I don’t understand much those subjects. I thought, even job life will be terrible. 8am to 6pm office and per week only one holiday. Most terrible things will be waged. In my initial job life I would get only $300 to $700. Later (I guess at least 8 years), it could go $1500. I never dream this kind meaningless life. Never! 1) I need to continue studying and try to pass only. 2) I need to find something where I can scale up my salary and get the flexibility of my life(specially work time, holiday etc). And I need to do it before completing my graduation. I found my aim in life! In the year of 2010, I got my computer with 1GB(per month) internet connection. I have not much friend in my real life. I was spending almost my all day with the computer. Gradually, I realized I love technology, I love blogging, I love to read tech info. I was enjoying this. At this time, I found a few articles about freelancing in our local language tech blog. Within a few days, I understand it could be the best option for my future. It has all necessary flexibility that I was looking for. What should I learn now? SEO? Never, that is low budget work! (Now I know how important SEO for business). Of course I should learn web developing related all work. Because, Engineering study isn’t easy. Even only to pass you have to give lots of time there. I was concentrating two things and my frustration was increasing day by day. I was getting so much pressure from my family too. They wanted to break my computer because all day I spend on computer and do not study my curriculum book. So, now my thought was, let’s try freelancing marketplace. Time was May 2012, I was targeting low budget easy work. It took two months to make 200 bucks. Wow, lots of money! Really, when I received those money I was on the top. Now, my parents also thought it’s ok that i am doing something that make money. But, they were still thinking that I should concentrate my study because it will not give you much money. I stick with study, learning and earning more than 1 years. September 2013, I got a great offer from one company. I make almost $2000 within 1.5 months. I needed this. Really, I needed this. Not for me, but for my parents too. Now, they understand that doing this kind stuff I can earn more than any traditional job. What about study? Oh my God! Backlog backlog and backlog! (Read: Fail, fail and fail!) I passed all subjects only 1st semester after that I never passed all subject rest of the 7 semester(I failed every semester 2,3 even 4 subjects out of 5 subjects). So, I totally stop freelancing. Thought, complete the graduation, then start again freelancing. It was the wrong decision, but I had not any other way. My all friend completed their graduation at the end of 2014. But I did not. It took extra one year to complete my graduation because I had lots of backlog(fail). In the month of December 2015, I got a job from a web developing company who were offering me $850 per month and they will increase more after 3 months. But, I did only one and half month of that job. There was so much pressure and I need to work at night. Because their office time starts at 9pm(our local time). So, I had $1200+ and I did not want to withdraw that amount. I wanted to invest for my niche site. Look, I had more than 20 sites. All sites failed and I didn’t income any penny from those. Because, I did not take seriously any of those projects, content was very low quality and i did not any SEO. This time, I was making $300-$400 per month to bear my daily expense and plan to create a website from scratch and invest those $1200 in this single site. Then I make $50,000 within 9 months. Want to know how I did that? Check here.